One serving of chia seeds also provides a whopping 42 percent of your recommended daily intake of fiber. Research demonstrates the importance of fiber in the body, specifically for promoting stomach and GI health that is needed for a beautiful belly, skin, body and mind. Culinary creativity is easily accomplished with this super-soaker seed, which swells up to 10 times its size in liquid, making you feel fuller. 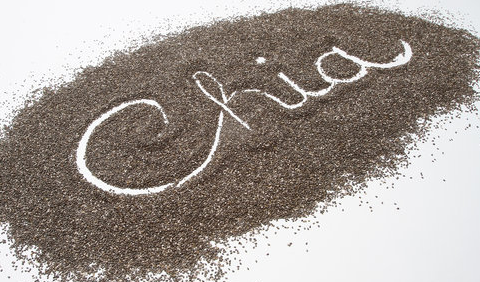 Unlike flax seed, chia does not need to be ground in order to obtain its nutrients. Whole chia seeds have a four-year-plus shelf life, and because they have an extremely low glycemic index rating of 1, chia seeds lower the rate at which other carbohydrates are converted into sugars. Quinoa, which dates back to well over 5,000 years, was grown for the Inca civilization in the high altitudes of the Andes. Today, more than 200,000 pounds are grown in the U.S. The grain thrives at higher elevations and is the sweetest when grown above 12,500 feet. Quinoa is available in white, red and black varieties and can be purchased either pre-rinsed or not rinsed. When using quinoa that has not been pre-rinsed, rinse the grain thoroughly to remove the natural, bitter coating. Like soy, quinoa is a plant-based food that is considered a complete protein, providing 8 grams of protein per 1 cup. As an added bonus, 1 cup of cooked quinoa contains 5 grams of fiber, which is important for digestive health, heart health and weight loss. If that weren't enough, quinoa is also a good source of iron, magnesium, calcium, potassium and zinc. Quinoa cooks in minutes and can be used for salads, desserts and everything in between. Explore quinoa's culinary potential by mixing it into stuffing, salad, pudding or even try my Quinoa, Black Bean, Arugula & Spinach Ragout (below) as a "meaty" bulk. Calorie for calorie, dark leafy greens are one of the most concentrated sources of nutrition. In addition to being a rich source of important minerals such as iron, calcium and potassium, as well as vitamins K, C and E, dark leafy greens also contain lutein, an important phytonutrient. From kale to collard greens, cooked spinach to Swiss chard, lutein can be found in all dark leafy greens. Research shows an association between lutein and a decreased risk of macular degeneration. Mounting evidence also suggests that lutein may protect the skin from the sun's harmful UV rays, which can lead to oxidative damage, inflammation and cancer. Want to try all three beauty foods at once? Make my Quinoa, Chia, Black Bean, Arugula & Spinach Ragout recipe and enjoy the numerous health and beauty benefits of each food. Happy 2014! In large non-stick skillet on medium heat, add 2 tablespoons of the extra virgin olive oil, onions, salt and pepper, and sauté until light golden brown. Add broccoli florets and sauté five minutes. Add black beans, make a well, add remaining olive oil and garlic in well, cook the garlic until aromatic, about one minute. Add tomato sauce, chia seeds, hot sauce and quinoa. Bring to a simmer and mix. Add spinach, arugula, and stir until thoroughly mixed, heated and greens begin to wilt.